Bill Narwold has advocated for corporate accountability and fiduciary responsibility for nearly 35 years, representing consumers, governmental entities, unions and institutional investors. He litigates complex securities fraud, shareholder rights and consumer fraud lawsuits, as well as matters involving unfair trade practices, antitrust violations, whistleblower/qui tam claims and intellectual property matters. Bill is the practice group leader of Motley Rice's Securities and Consumer Fraud practice group. Additionally, Bill manages the firm's appellate group. His experience includes being involved in more than 200 appeals before the U.S. Supreme Court, U.S. Courts of Appeal and multiple state courts. 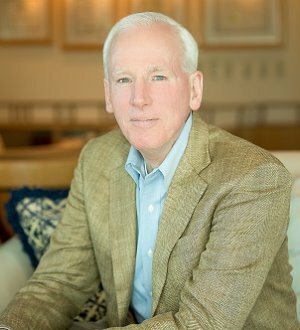 Bill joined Motley Rice in 2004, after directing corporate, financial, real estate, trust and estate litigation on behalf of private and commercial clients for 25 years at Cummings & Lockwood in Hartford, Connecticut, including 10 years as managing partner. Prior to his work in private practice, he served as a law clerk for the Honorable Warren W. Eginton of the U.S. District Court, District of Connecticut from 1979-1981. Bill often acts as an arbitrator and mediator both privately and through the American Arbitration Association. He is a frequent speaker on legal matters, including class actions. Named one of 11 lawyers "who made a difference" by The Connecticut Law Tribune, Bill is recognized as anAV® rated attorney by Martindale-Hubbell®. Bill has served the Hartford community with past involvements including the Greater Hartford Legal Assistance Foundation and Lawyers for Children America. For more than twenty years, Bill served as a Director and Chairman of Protein Sciences Corporation, a biopharmaceutical company in Meriden, Connecticut.